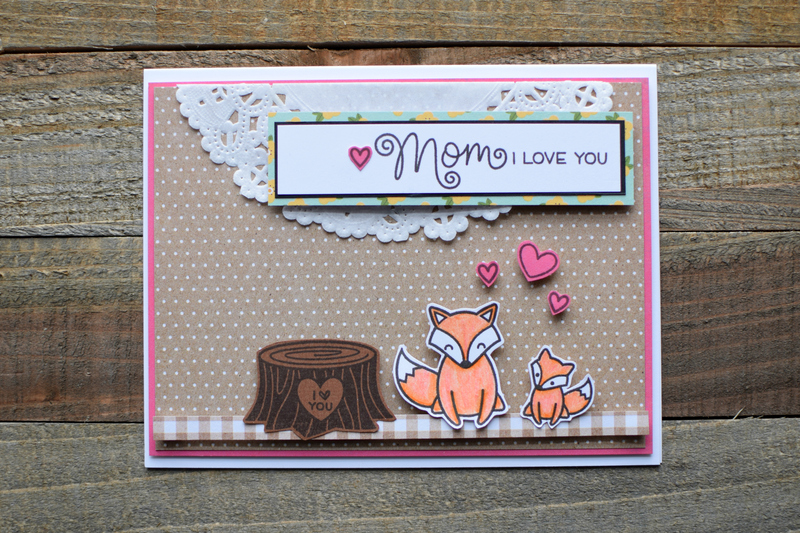 This is the final card I made using the stamp set, “Mom + Me”, and is a second card I made using Pebbles’s “Spring Fling” paper pack (every paper that is patterned). The darling heart stamps are from “Jump for Joy”, and “Party Animal”. I decided to also use a paper doily I had on this card, and I think it adds the perfect touch. As far as the colors, I just picked a few papers I loved and realized how perfect the colors worked together, so lucky me! This entry was posted in Cards/Scrapbooking on May 8, 2017 by Megan.